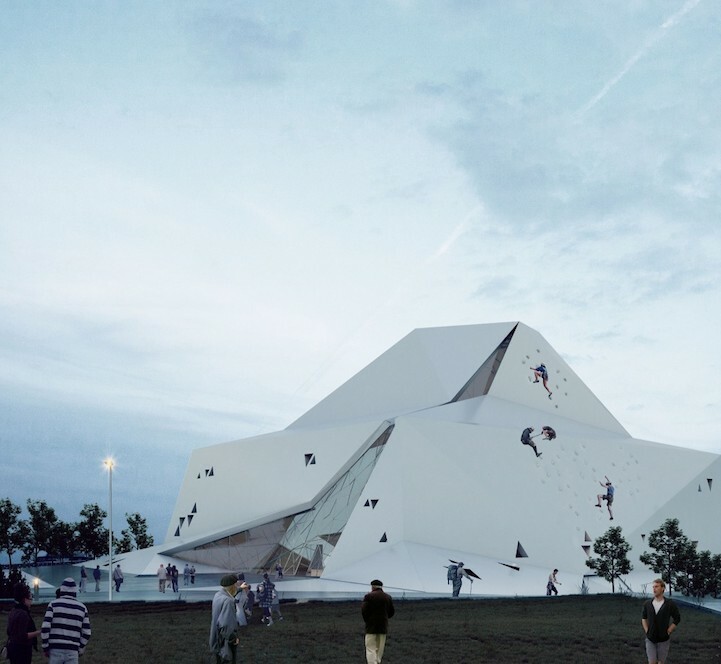 A unique climbing hall was created by the New Wave Architectures in the community of Polur in Iran. 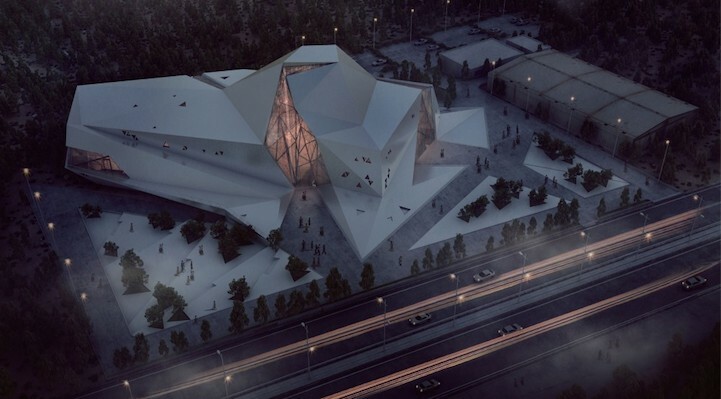 The hall that resembles a giant rock was designed in such a way that harmonizes with the natural and rock landscape of Mazadaran. 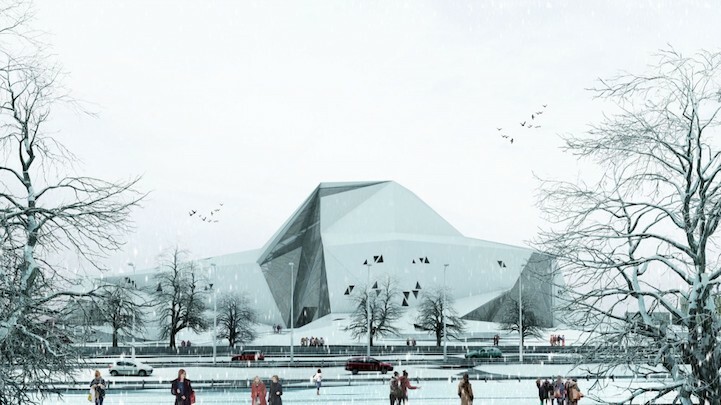 Moreover, the large windows of the hall serve the same purpose by allowing the sunlight to enter in its interior and by offering a great view of the nearby mountains while the while color of its exterior fits perfectly the usually snowed landscape. 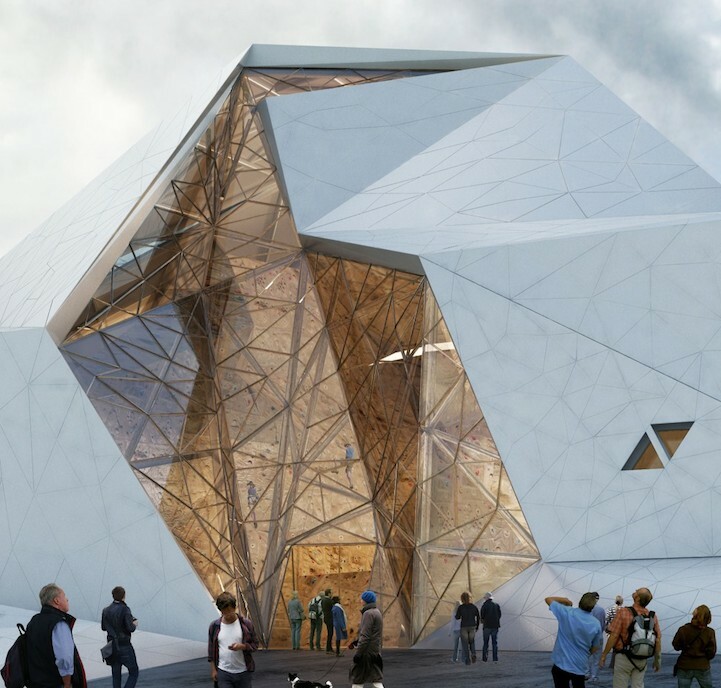 The construction inspired by the geological process of plate tectonics is equipped with a dynamic climbing hall, temporary accommodation zone, gym and maintenance areas while the outer surface is covered in fiber cement panels that give the fanatic climbers the alternative option of an outdoor climbing.